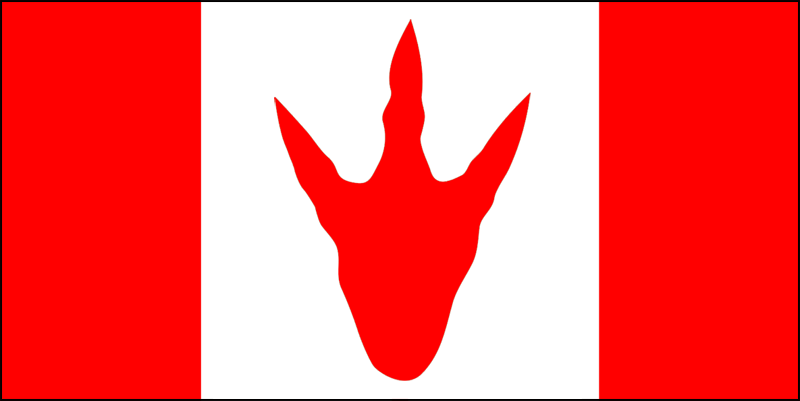 I heard something in passing this morning about the maple leaf on our Canadian flag looking a lot like a dinosaur footprint. This seems so obvious that I assumed it must be out there in the common currency, but an extensive googling has turned up no imagery whatsoever. So how could I possibly resist the urge to take someone else’s idea and run with it? That… that is grand ! I am linking it !